More than 50 Islamist parties with millions of followers now constitute a whole new spectrum. They will shape the new order in the world’s most volatile region more than any other political bloc. Is Hamas Rebranding with New Manifesto? From the Book - Turkey: The New Model? Islamist groups in the Arab world are diverse in their political agendas, goals, and activities and thus defy simple categorization. But several trends and common denominators have emerged in the early twenty-first century. On the surface, the Islamic State and the Islamic Republic of Iran have the same goal – a pure, idealized government based on Sharia law. Yet the two Islamic systems differ in political systems, economic life, culture and, most of all, the role of religion. Al Qaeda and ISIS are both violent extremist groups propagating a hardline Islamist ideology. But they are rivals who differ in their strategy to achieve the same objectives. 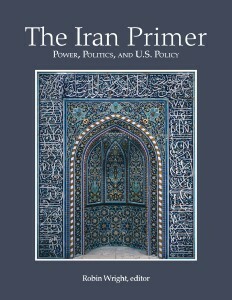 The world’s most comprehensive website on Iran, “The Primer” brings together 50 experts—Western and Iranian—in concise chapters on politics, economy, military, foreign policy, and the nuclear program. It chronicles events under six U.S. presidents. It also has leader bios, timelines, data on nuclear sites—and context for what lies ahead. The latest articles are listed below.